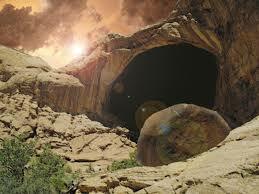 Easter Sunday has finally arrived…He is Risen! Jesus has fulfilled his destiny. The Father and Son have made good on their words and promise of everlasting life! 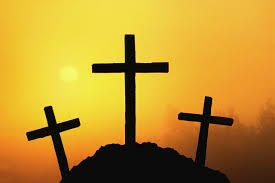 The question now is, have you risen? Have you risen above and beyond the temptations that day in and day out, take away from the path of higher consciousness and enlightenment? How many times will you say, “Next time…next year…I have time.” Next time and next year, come and go in the blink of an eye! Another Easter Sunday dawns and passes…again and again, until there will be no more time to rise to the occasion of everlasting life! Take a moment now to just reflect and ponder your life…Do you like what you see…do you like what you have become? Everyday is a new day…and every new day gives one the chance to be closer to becoming enlightened and renewed in spirit in order to attain everlasting life…The Risen Christ has given you a guarantee….It is only an assurance if you accept the journey. God will not be mocked. Make no assumptions about your passage…It is an act of love and a passage of faith…Be in this world…not of it. Have you risen? You may believe you have…only God…and time, will tell…. May the peace and wisdom of God’s Grace be yours today…and everyday. Good Friday…What’s Good About It? When you reflect upon Good Friday…What’s really good about it? It was perhaps the worst day in the history of mankind in revealing his true nature…it ran the gambit from betrayal…denial of knowing…selling for 100 pieces of silver…doubting miracles…jealousy…envy…discrediting…maligning…lying…defiling of Temples…to the eventual taking of the Messiah’s life. What does God see in us that we cannot see in ourselves? All of man’s corruptions then, are still going on now…magnified in their horrific intensity and visited upon the innocent and just without conscious or remorse…day in and day out…just as it was visited upon the Christ nearly 2000 years ago. Can man be saved? Is Mankind worth such a selfless sacrifice? 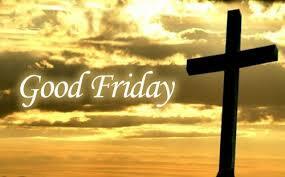 Has much changed with the passage of time since the inception of Good Friday? Good Friday…what’s so good about it? You’re still here! Imagine…where you would be…if God gave up on you….